The S&P 500 Death Cross is Coming Soon: Will It Start A Bear Market? Buckle up, everyone. The headlines for the stock market are about to get extremely bearish. A bad omen is set to occur over the next few days. And when it does, everyone will be giving you a bearish view. 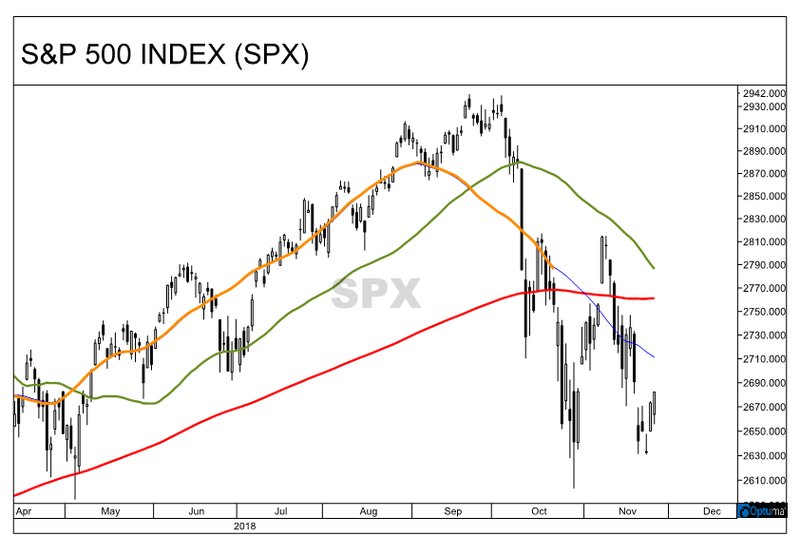 The S&P 500 Index, the stock market‘s most-tracked index, is set to form a “death cross.” That’s an extremely bearish indicator. A death cross is when the 50-day moving average crosses below the 200-day moving average. Prior to every bear market, this death cross is formed. The question is, are we on the cusp of a bear market? Obviously, no one knows for sure. What I like to do, though, is follow price. Price is everything, and it’s what determines if we are in a bear market to begin with. The fundamentals of the economy and for corporations could be horrible, but if prices continue to climb, you want to invest in the trend. The green line represents the 50-day moving average, and the red line is the 200-day moving average. You can see how the green line is quickly closing in on the red line and set to cross below it any day now. The orange and blue line is my leading indicator, and it’s where my focus will be in the coming weeks. The orange part of the line is simply the 50-day moving average centered. So, it is shifted by 25 days from the actual 50-day moving average. The blue line is the price data as it first gets averaged in, but it fluctuates each day as more prices are added until it is 25 days old. In other words, it’s an early warning sign for stock market moves. With it sitting comfortably below the 200-day moving average, it tells us this death cross will occur soon. Going forward, I want that blue line to climb back above the 50-day moving average (in green) and the 200-day moving average (in red) to signal the bull market will continue. If it fails to do that in quick fashion, we are looking at the onset of the next bear market. The latest bounce in the stock market needs to hold to maintain investor confidence. A decline in the S&P 500 below 2,630 would be alarming and warrant the negative headlines we are all set to see a ton of.